On page 62 of one of the Manitoba Genealogical Societies publications of the cemeteries, Rick provided the information on my family. Again Mr. McLellan was specific about the graves featuring them in the context of where they were in the cemetery: The first photo has a great picture of the church. 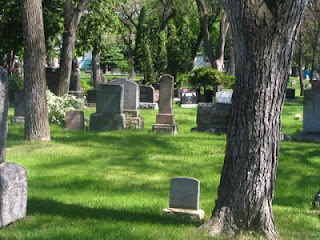 This link is to the cemetery website with the history, contact information and a map of the cemetery layout. 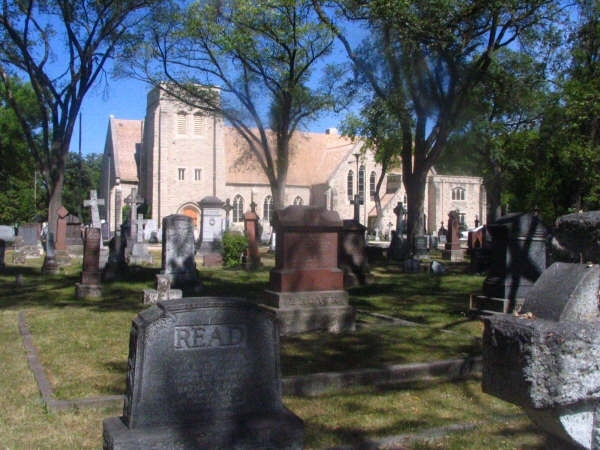 Rick gave me a copy of page 701 from one of the cemetery transcription books: "Elmwood Cemetery, Section 8, 88 Hespeler Avenue, City of Winnipeg #1237. 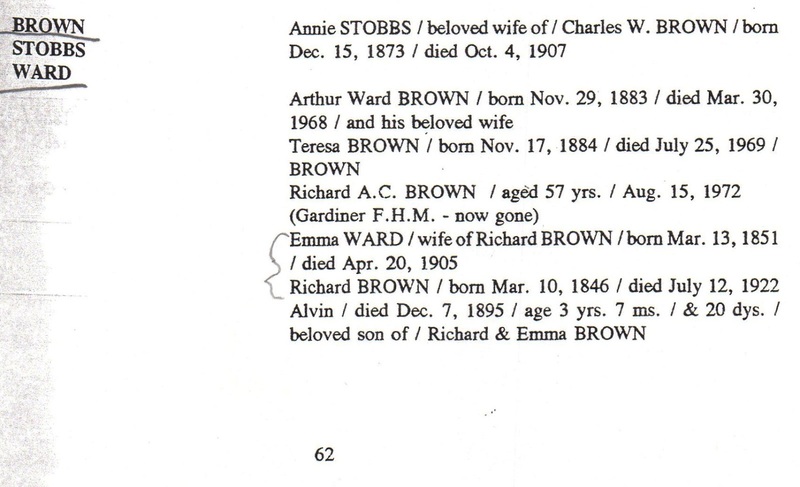 My family is about halfway down the page. 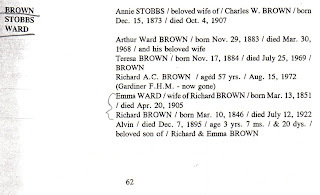 My great grandmother Charlotte McMurray Boardman, Edmund's wife, is buried in Forest Lawn Cemetery in Glendale, California (near Pasadena) along with one of her 4 sons, William Boardman. 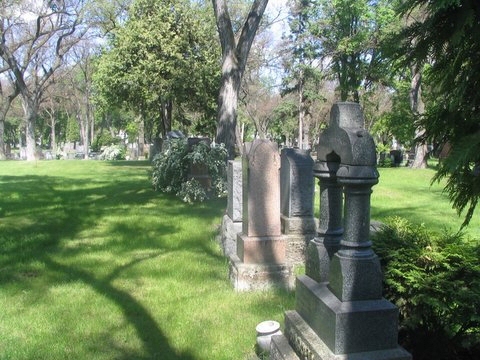 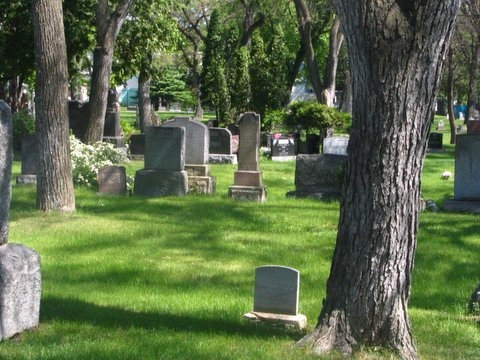 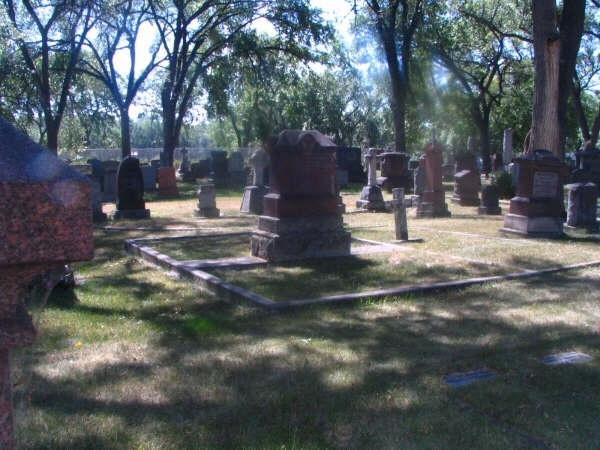 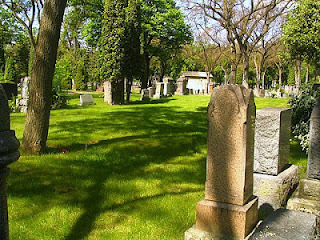 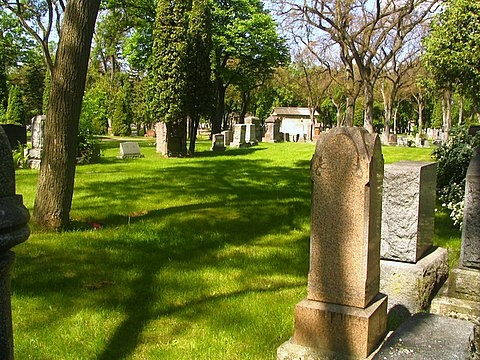 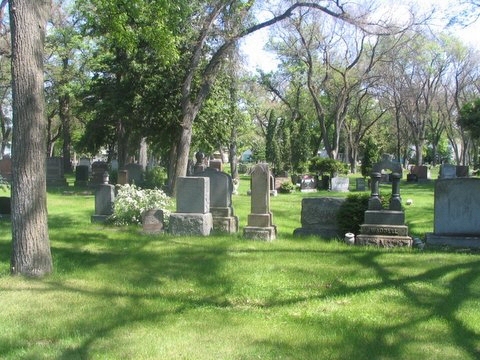 Below are views of Elmwood Cemetery, Winnipeg, Manitoba. 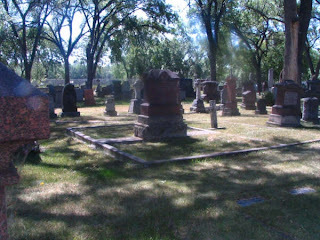 Mr. McLellan was working for me so he was very specific about what graves he took pictures of and focused on the people listed on the page he gave me from the cemetery book. 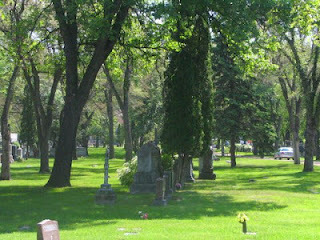 In these photos he was giving me a general overall look at the graves in their surroundings. He then supplied me with specific grave photos which I have published on my Boardman & Brown Blog - see link above.